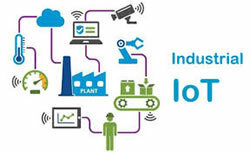 Scott Stone for Plant Engineering: The Internet of Things (IoT) will significantly alter manufacturing, transportation, distribution and other industrial sectors over the next decade, according to the World Economic Forum. We've only hit the tip of the iceberg in terms of the ways Internet-connected devices will transform these industrial sectors. To put a number on the anticipated growth of Industrial Internet of Things (IIoT) over the next few years, Accenture places conservative spending estimates at $500 billion worldwide by 2020. Forward-thinking businesses are already leveraging the power of the IIoT and reaping the benefits. When used effectively, it allows companies to better manage their operation, increase production and transform business for the better.